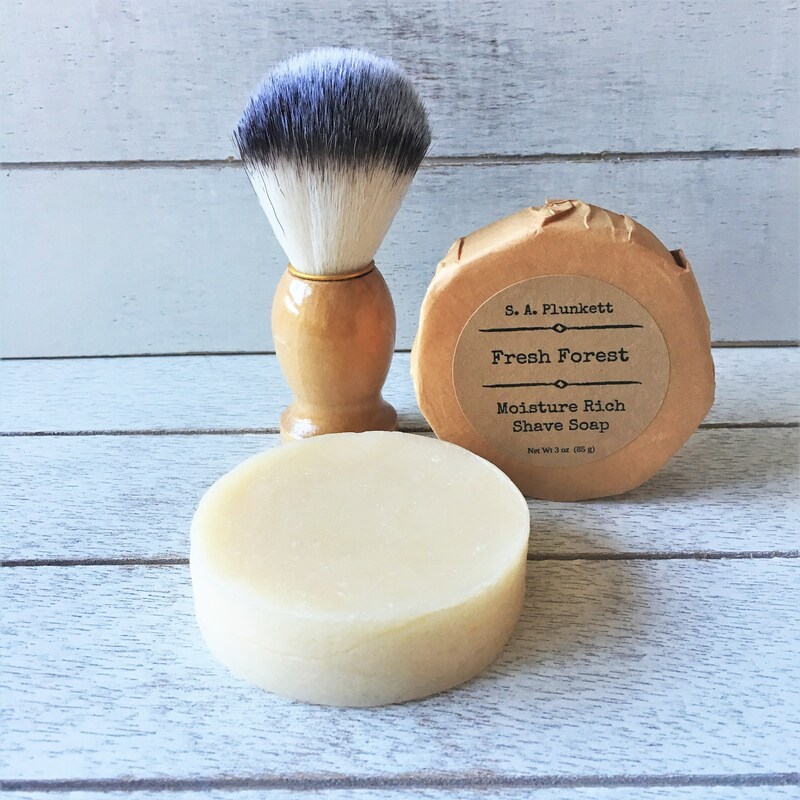 Soothing, organic, plant-based oils along with moisture rich organic vegetable glycerine and a touch of hydrating and conditioning organic yogurt create the base for these, gentle, skin nourishing, artisan shave soaps. 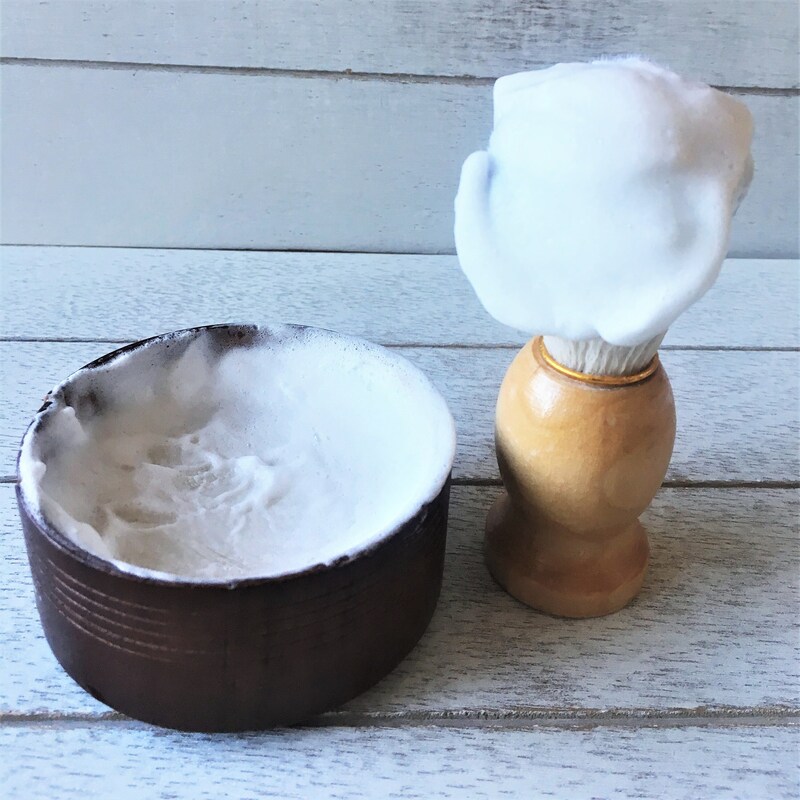 With a diameter of just under 3 inches, your soap will easily fit into most shave cups and bowls, will last a long time, and will help your skin to feel soft and nourished after your shave. 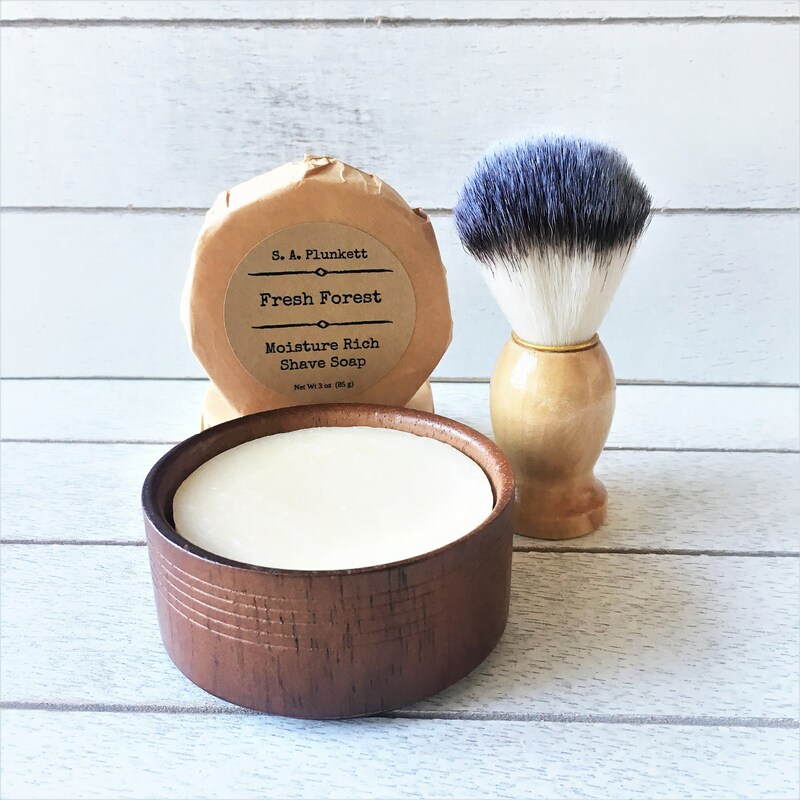 These soaps create a superb lather that will help to soften hairs and allow your razor to easily glide across your skin. Every bar is hand cut and thoughtfully hand packaged in eco-friendly tissue with a paper kraft label, perfect for the zero-waste consumer. all scents are from pure and tested essential oils, no synthetics. Only skin nourishing, gentle ingredients are contained in each bar. **Used to saponify oils into soap. None remains in final product. 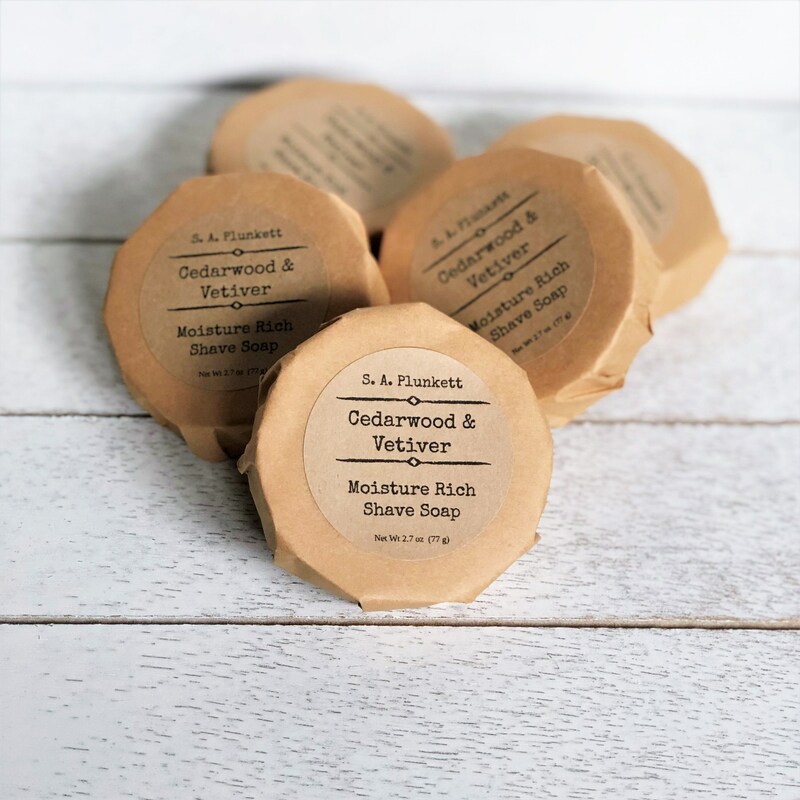 Cedarwood & Vetiver - Has the grounding and earthy scent of cedar and vetiver and a hint of uplifting, sweet bergamot.